Have I told you guys how much I love Christmas? I seriously love.it.alot. ALOT. I try to keep the right perspective and do good things like give to charity and be extra kind and friendly, but I really love the whole consumer spectacle as well. While I would be perfectly happy if the stores didn’t start putting their Christmas stuff out in October, I do love seeing all the lines of decor, ornaments, wrapping paper, etc. that the various stores put out every year. I frequent all the regulars, Michaels, Target, World Market, and Home Goods to name a few. I also really like to hit up Kmart. For whatever reason their Christmas decorations are always outstanding. Check out these mercury glass balls, beautiful! 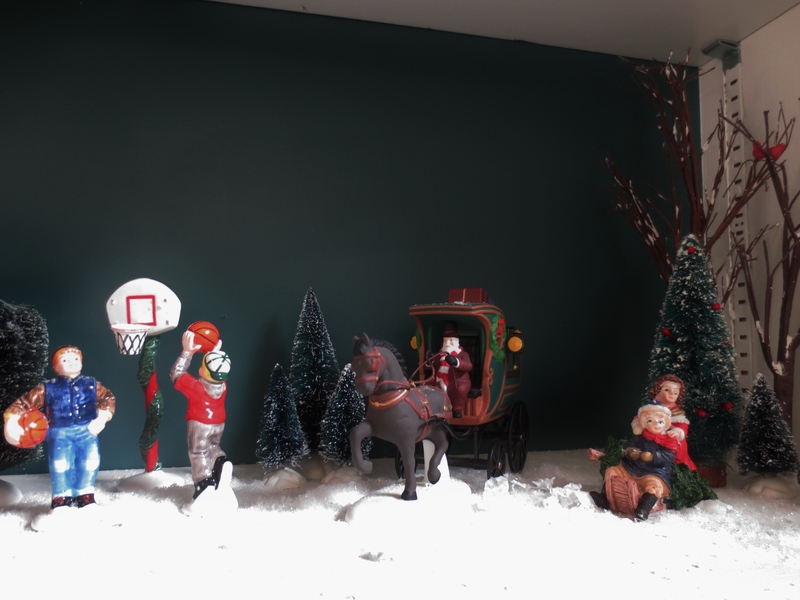 Last year I got these amazing snow fake ornaments, which you’ll see on my mantel and this year, they had some really great red green and white balls which are in my lanterns next to the fireplace. If you haven’t checked out Kmart for affordable ornaments, you’re missing out! OK enough about me. Let’s talk about my decorations. 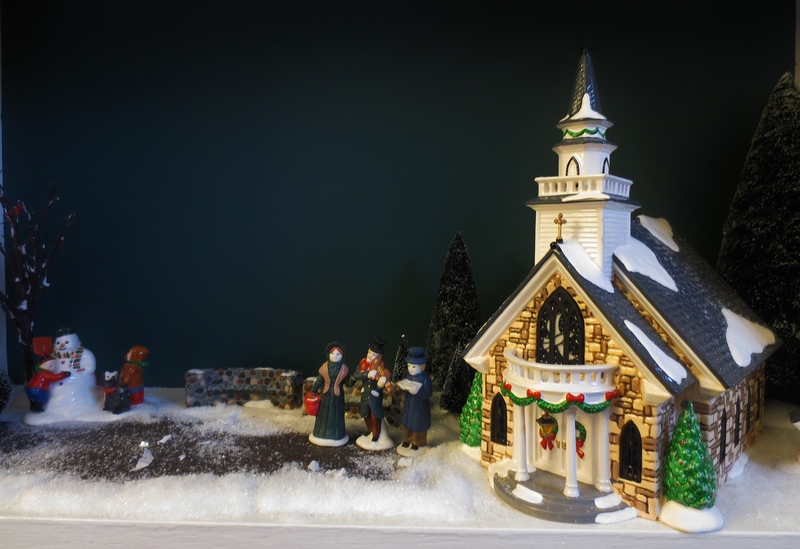 I have had my grandmother’s Dickens Village for several years now and I love it. This year my mom sent me most of our Dept. 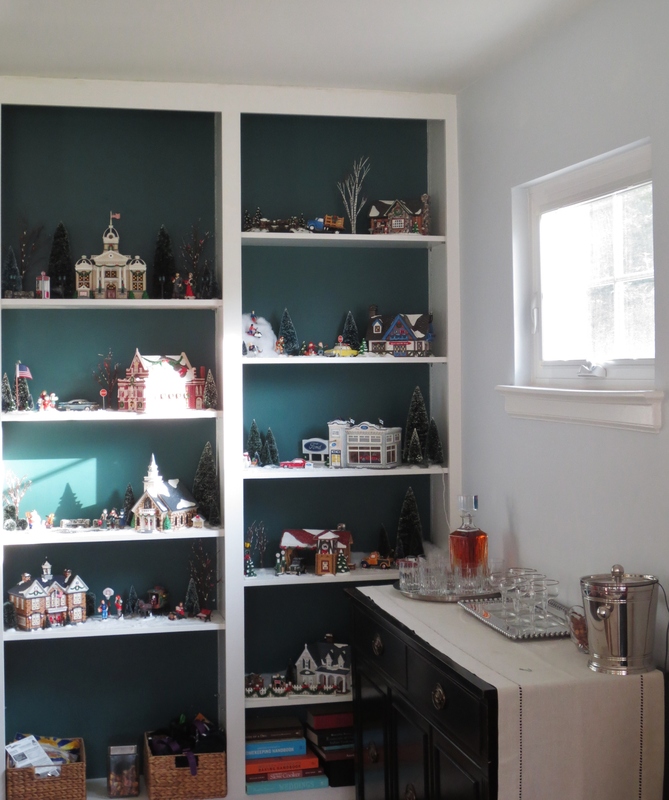 56 collection Snow Village and I had such a good time arranging the pieces in my home. It’s so much fun for me to come up with the little vignettes. 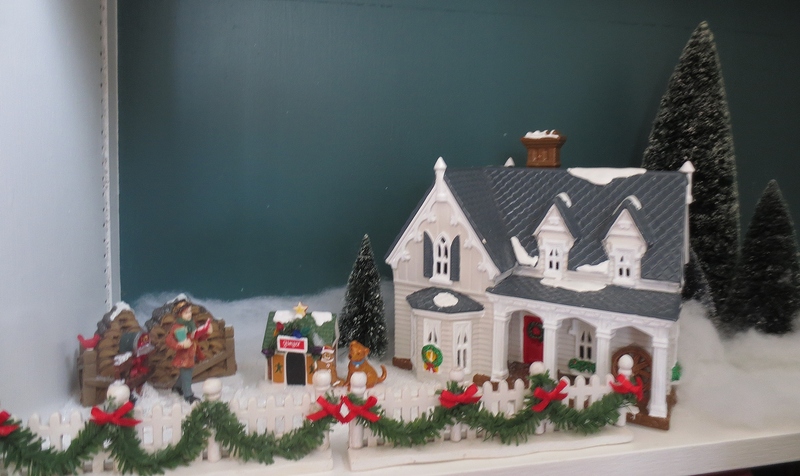 Since the Dickens Village fits so perfectly where our “aloha” sign usually resides, I decided to see if I could make the Snow Village pieces work in the bookcase. At my mom’s old house, we had them on top on our built-ins kind of how the Dicken’s Village is, so this would be a new challenge. 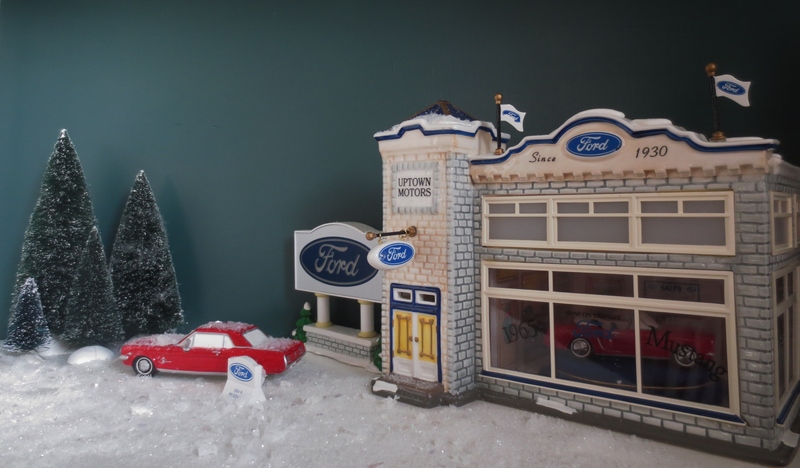 I went with “mini-street-scapes” and let the main structure on each shelf dictate the scene. 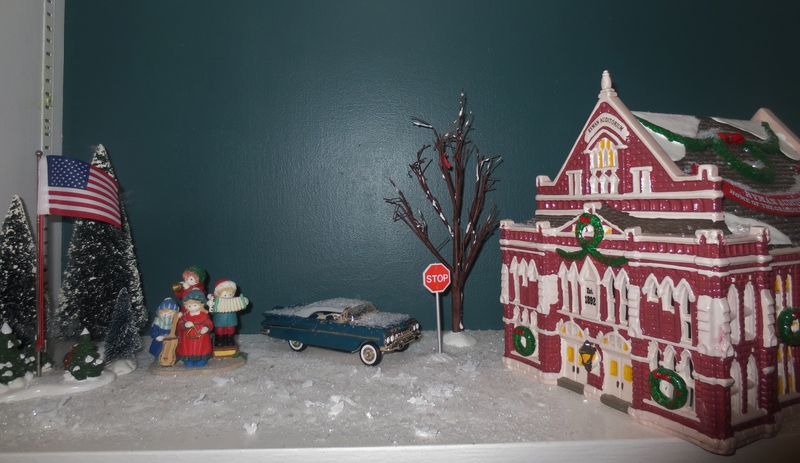 For example, I set out carolers outside the Ryman Auditorium, home of the Grand Old Oprey, and skiers and skaters outside the skate shop. Take a look! 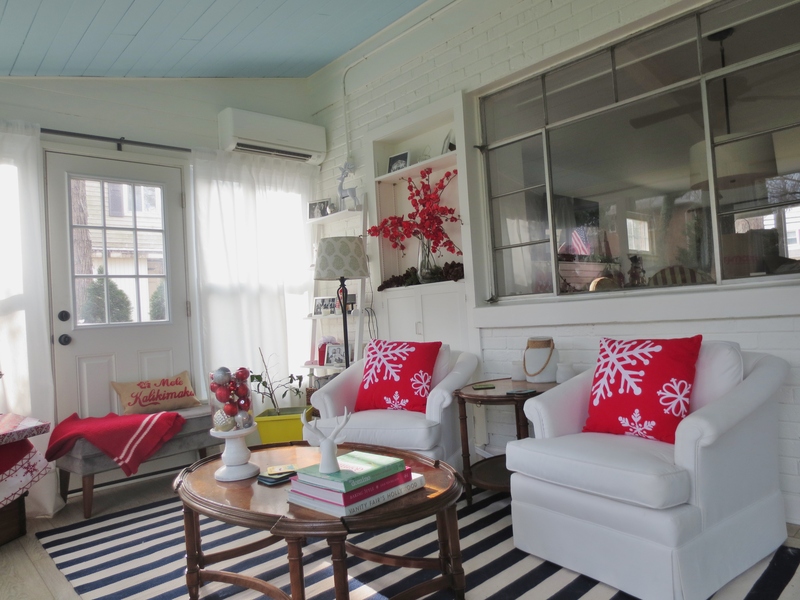 Another new fun thing this year was getting to decorate the sun room. Last year we put our tree out there but it wasn’t really a space that you could decorate. This year, viola! Since we are going to North Carolina for Christmas this year, Mark and I agreed to forgo the big tree and just put up this little fake one. 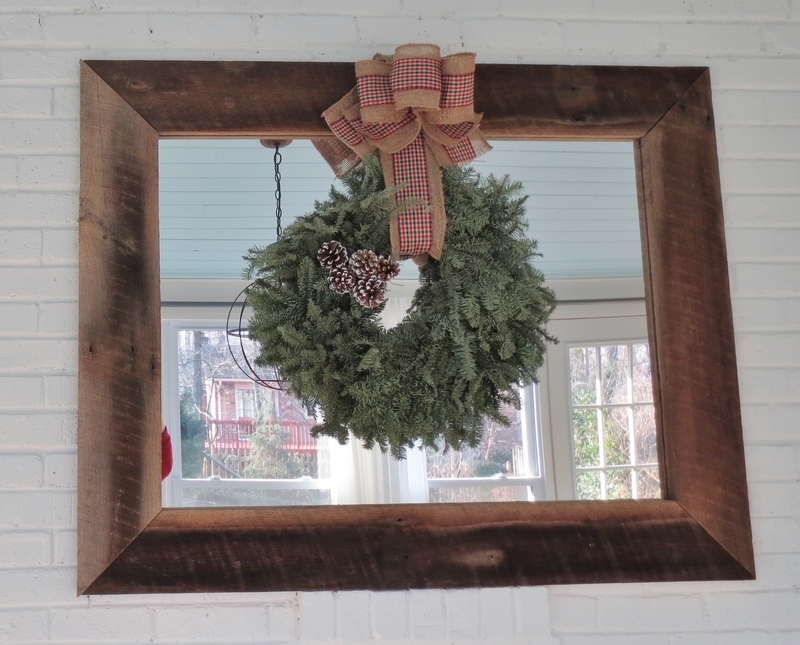 The wreath over the mirror is a live wreath and makes the whole room smell great! 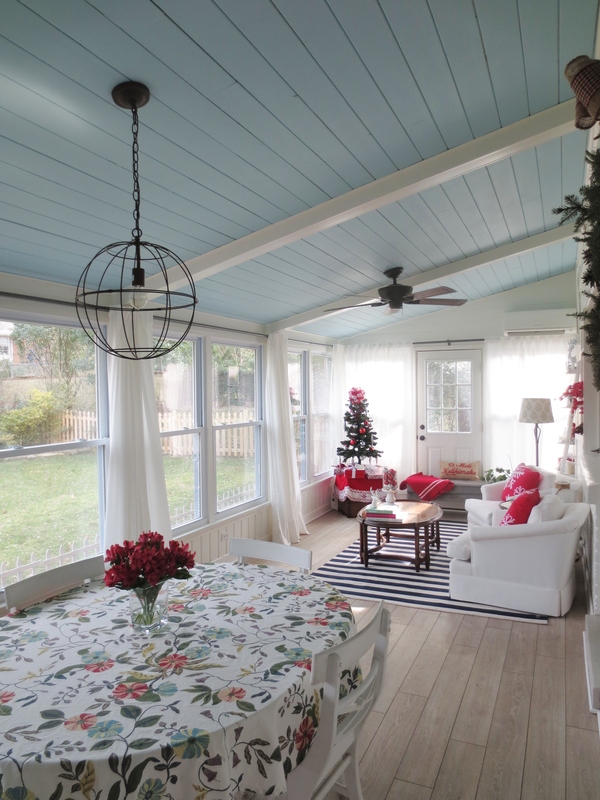 Outside, we kept it simple again and just hung garland from the light post and the porch post. This is the photo from last year with snow on the ground and Bruddah doing his best gazelle impression. 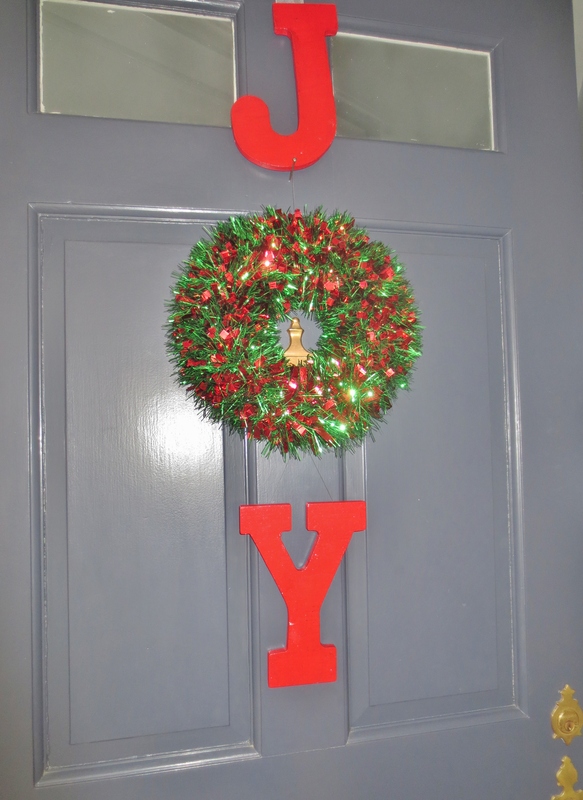 On the front door, I brought out a “Joy” sign that I made two years ago by painting a wooden “J” and “Y” with red craft paint and then finding a styrofoam wreath mold in a corresponding size and wrapping it with cheap tinsel. They letters are connected together by fishing line and I used a piece of ribbon to staple it to the top of the door. I used painter’s tape to stick the backs of the J and Y to the door so they don’t bang around. I don’t have my receipts from the project, but I would guess that it cost me around $30 since I didn’t have any of the supplies like the craft paint or the tinsel. 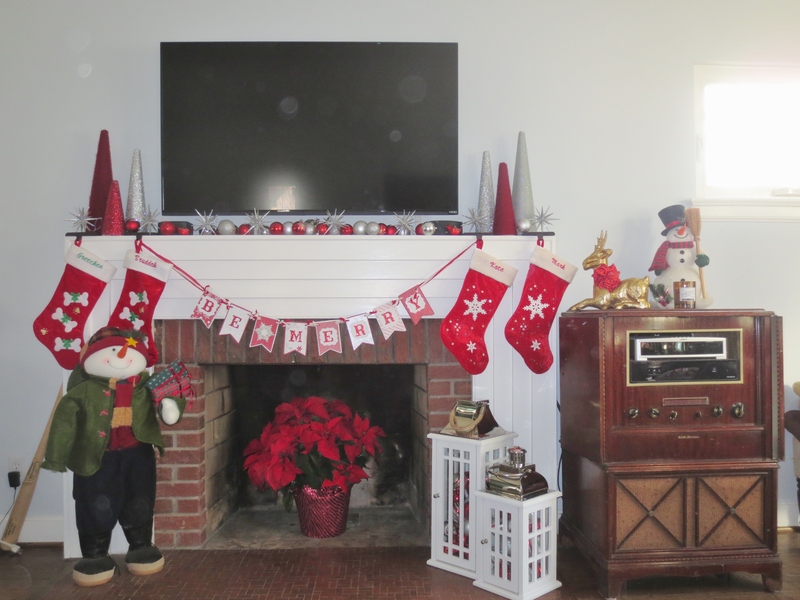 And last but not least, here’s the mantel. How come no matter how many cheap ornament balls you have, it’s never enough? Each year, I end up buying more. 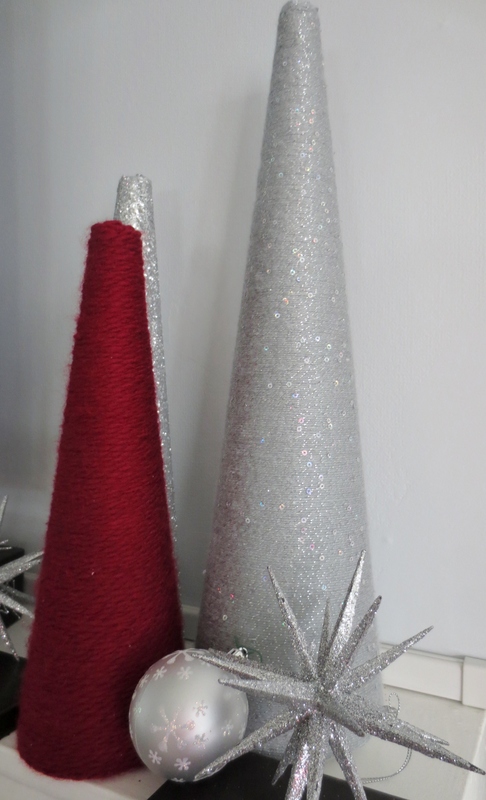 As I mentioned above, those amazing spikey snowflakes were from the Jaclyn Smith Holiday collection at Kmart last year. 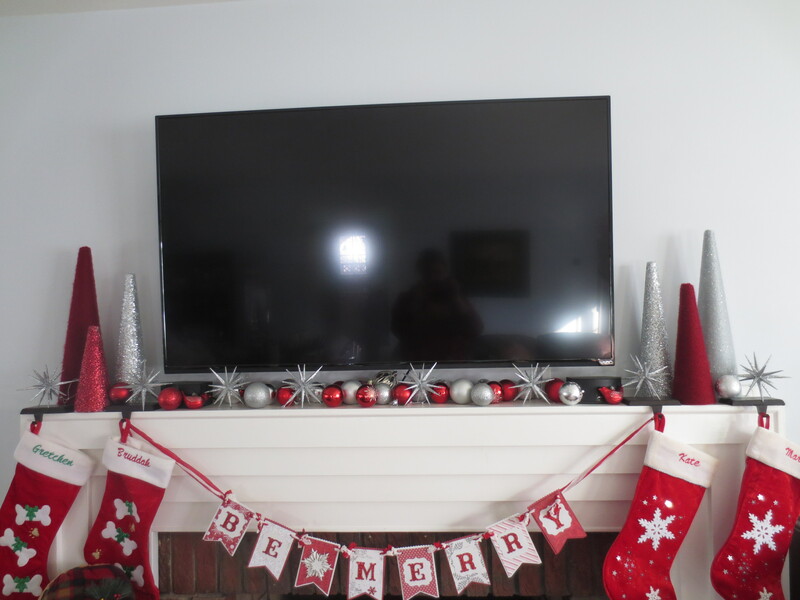 The stocking hangers are from Target, the balls are a mis-mash of Target, Kmart, Home Depot and IKEA, and the trees I made using glitter and yarn and this tutorial. 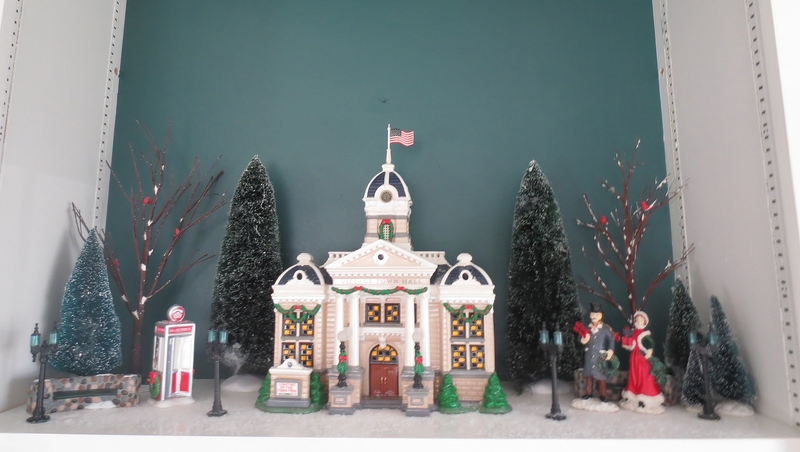 I am really happy with how the “villages,” sun room, and mantel all turned out and of course I love seeing the lighted garland on my light post when I come home at night. The photo quality isn’t the best and I apologize for that. The light this time of year makes photographing the house a challenge. I hope everyone has a safe and special holiday season and that in addition to all the shopping, decorating, and partying, you take the time to help better the people and the world around you. If nothing else, remember to smile! 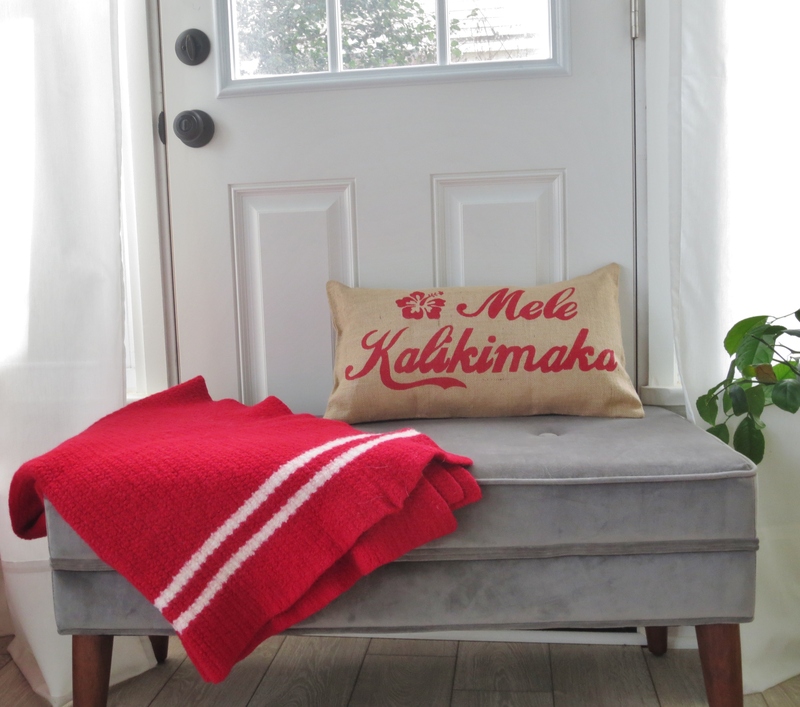 I love what you’ve done to combine wonderful old traditions (all the “villages” I remember so fondly from your folk’s house) and all your beautiful new ones! There is no such thing as too many ornaments! Sending you and Mark our love and wishes for a wonderfully fun Christmas! And, a very Happy New Year!! Fabulous.just fabulous! 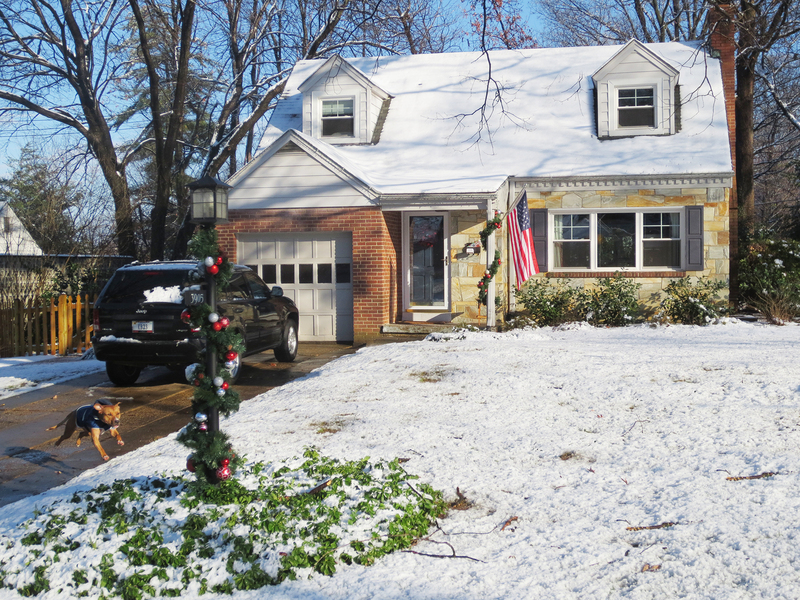 Indeed you have embraced the season and your house shows your love of all things Christmas. Merry, merry to you, Mark and the “kids”. May your Christmas be Merry & Bright as you celebrate with the Andrea and Matt. See you on the left coast. 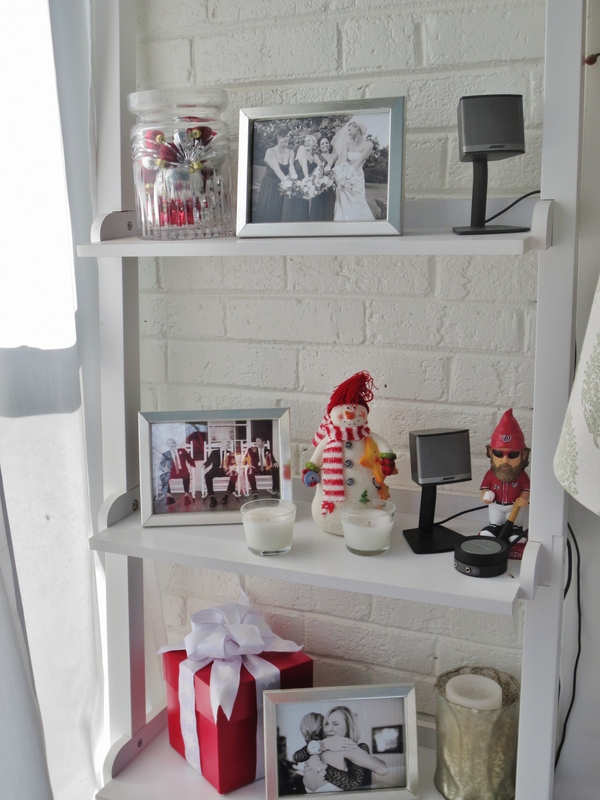 You have decked your halls nicely! Thanks for sharing. I love Christmas, too.